Local Elections take place in many parts of England on May 2nd 2019. In local government elections you are voting for between one and three councillors to represent your ‘ward’ on the local council. There are 388 local councils in England and about 20,000 councillors. If you want to know who is standing to be a Councillor in your area, just input your postcode into this helpful tool. These Councillors will get a say on some important things in your community including; transport, recycling/waste, roads, planning, local green spaces and council run facilities (such as sport centers, libraries etc). Why vote in the Local Elections? You can vote for candidates who have a similar vision for the future of your community as you do. All the areas marked in blue will be holding local elections in 2019! It is completely up to you who you vote for. If you don’t know where to start you can take a look at our quick summaries of the major political parties (here), but we recommend you take a look at each of the candidates individually – just take a look at some of the leaflets that come through your door ahead of election day. Don’t forget about minor parties and independent candidates! Although we have focused on the major political parties in the UK there are many candidates that represent smaller parties or even stand independently. It is always important to look into these candidates’ policies too. Remember, a candidate’s political party isn’t always a solid indicator of their views. Most political parties have a broad spectrum of members within them so it is often worth working out where in the party your candidate stands. How are local councillors elected? Local candidates can put themselves forward to be elected for a local council ward. Once all the votes have been counted on election day the candidate who has the highest number of votes will be declared the winner. However, in large wards the 2nd placed candidate winning a council seat for that ward too, meaning that ward has two people representing it. In some rare cases there can even be three people representing one ward. All candidates that put themselves forward to stand in a local council election must either live in the council catchment area or have a business premise they own and work from that falls within this catchment area. Think you could be a councillor? Voting on election day is not the only way to get involved in the local elections. 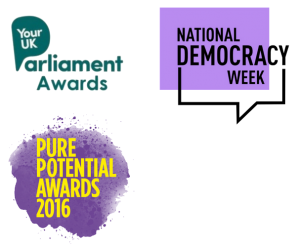 There are plenty of things you can do to get involved in the democratic process! Political parties are always encouraging their supporters and members to help campaign throughout the year, and especially at election time. Campaigning often involves delivering leaflets, talking to voters, and helping to spread the party’s message in the local area. You can get involved by contacting the party, or their local branch. Often if you’re a member you’ll receive emails about getting involved too. Campaigning is a vital part of elections, it connects ordinary voters with the political parties, plus being involved is usually pretty fun and is a great way to meet new people with similar ideas and outlooks! We are a totally voluntary organisation, run by young adults in their spare time. You can support us, and promote voter engagement, by purchasing our beer/coffee mats or A3 posters. If you’re a teacher we’re happy to send you some posters for free! Just fill in this form. 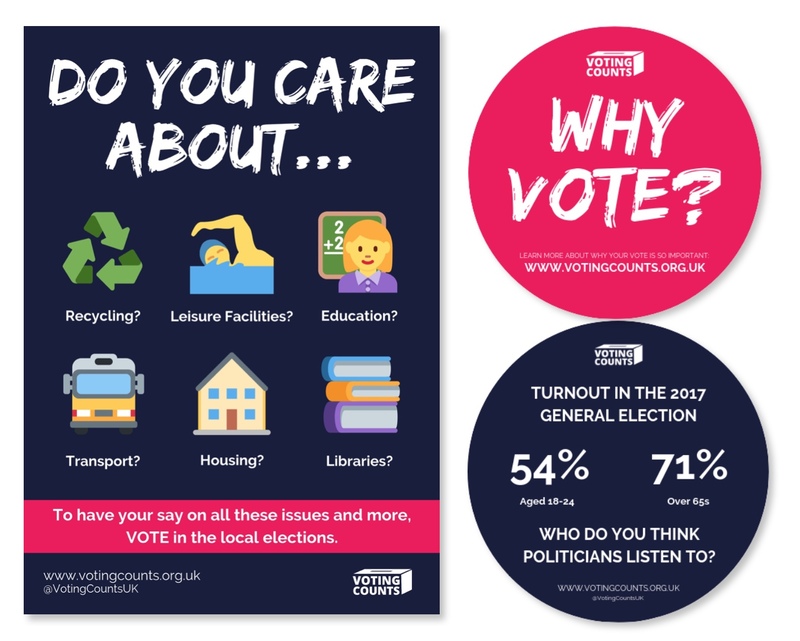 Tags: CouncilLocal ElectionsVotingWhat are local elections?